Check out this new jawns from Force/KMW member Rome. Featuring the sweet voice of Theresa Payne and production from…Rome himself. Dont’ take my word for it, check the press release. 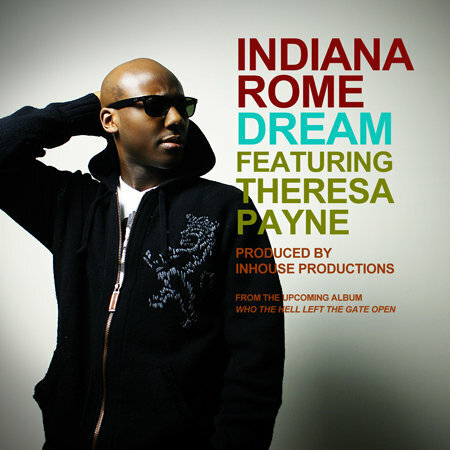 Indianapolis born Producer/Rapper Indiana Rome is gaining attention in the St. Louis hip-hop scene with his new single, “Dream” ft. St. Louis soultress Theresa Payne. He is currently producing for the likes of Tef Poe, Rockwell Knuckles, Corey Black, Kinds of Midwest and more. As the newest member of The Force Indiana Rome is making his mark and turning heads. Indiana Rome’s upcoming project “Who the Hell Left the Gate Open?” promises to be well rounded with contributions from The Force’s Tech Supreme, DJ Needles, Rockwell Knuckles and more. This entry was posted in Hip-Hop, Rap and tagged rome, the force, theresa payne. Bookmark the permalink.